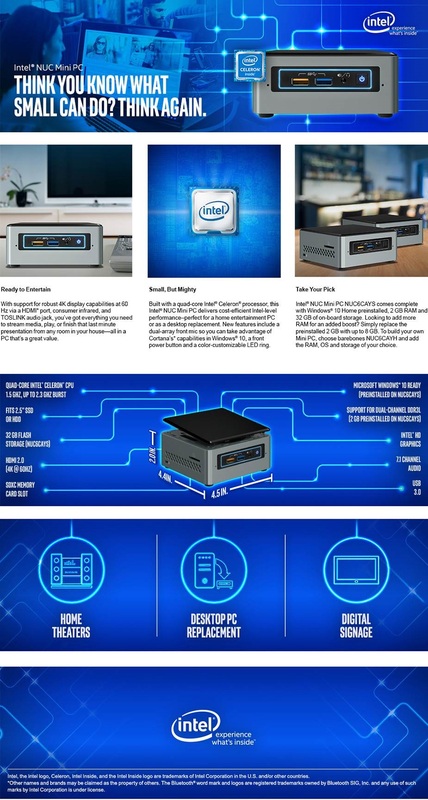 Intel NUC Kit NUC6CAYH built with a quad-core Intel Celeron processor, delivers cost-efficient Intel-level performance in a fully customizable kit that makes it perfect for basic 4K digital signage, PC replacement, or thin client. This kit gives you the choice to install the OS, memory, and hard drive you want so you can create the exact system that you need. 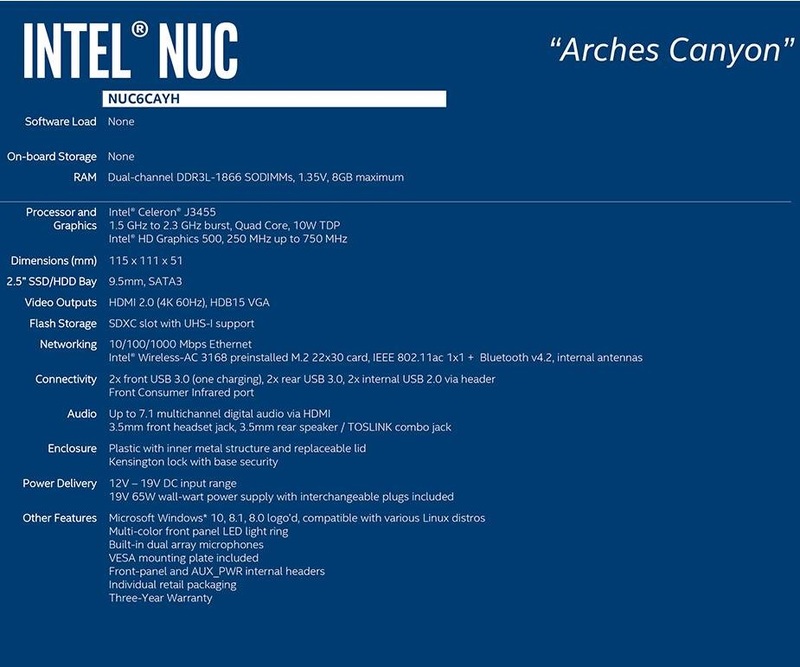 New features include a dual-array front mic and a multi-color LED ring so you can customize your NUC with the look you want. And there’s 4K display support via a full-sized HDMI* 2.0 port, so you can have 4K digital signs at a cost-e?ective price point.